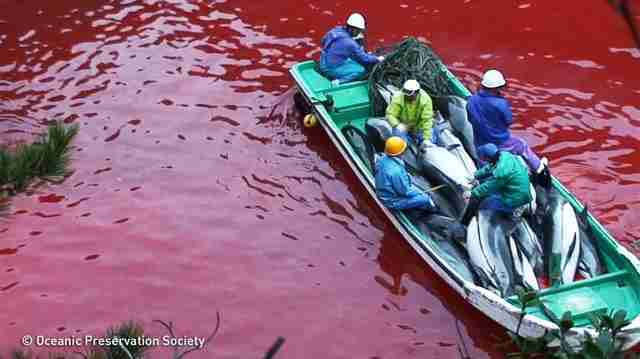 Every year, as fall approaches, people who love animals flock to a picturesque cove on the coast of Taiji, Japan. But they aren't making the trek for their own sake. 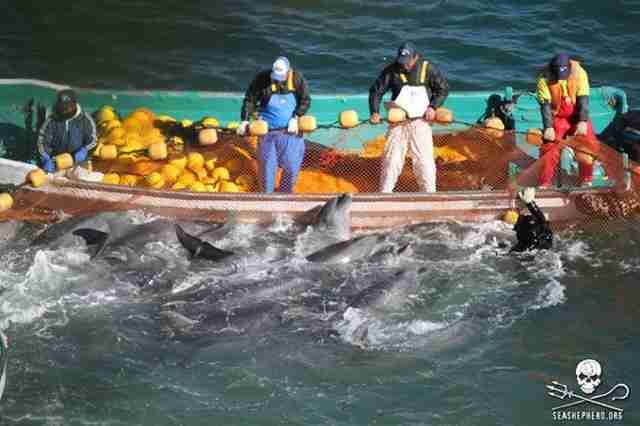 These people are doing the hard work of documenting an annual massive slaughter that dolphin hunters don't want people to see. This crowd includes groups like Cove Guardians, dispatched by the conservation organization Sea Shepherd, and The Dolphin Project, which both work to record the hunt and put pressure on Japan to stop killing and capturing dolphins for profit. The hunt is set to last for nearly six more months, aiming to capture or kill 1,873 animals. But the horrific footage already captured, which shows a dolphin fighting for his slowly diminishing life, has already sparked international outrage. 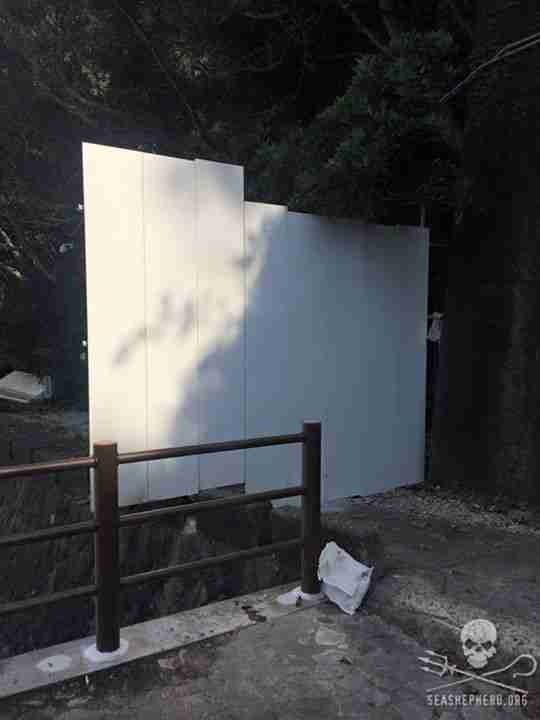 So, hunters have built a small wall to prevent people from capturing the gruesome sights for all the world to see. 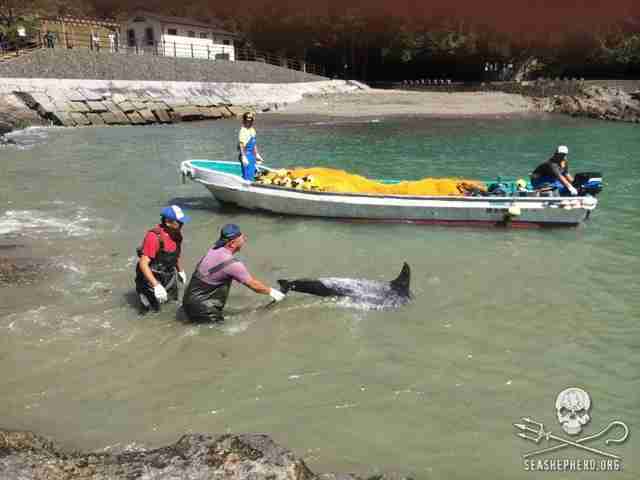 Sea Shepherd Cove Guardians posted a photo of the obstruction to its Facebook page. "Year after year, the town of Taiji attempts to hide the horrific capture and slaughter of cetaceans in the cove from the watchful eyes and cameras of Sea Shepherd's Cove Guardians and most importantly from people in Japan and around the world. Taiji has even gone so far as to block a tsunami evacuation route just to hide the bloodshed," Sea Shepherd told The Dodo in an email. "The efforts to stop Sea Shepherd extend beyond Taiji, as Japanese Immigration continues to refuse entry into the country for returning Cove Guardian volunteers. However, Sea Shepherd has been on the ground in Taiji since the beginning of the hunt season and will continue to document and expose the drive hunt." 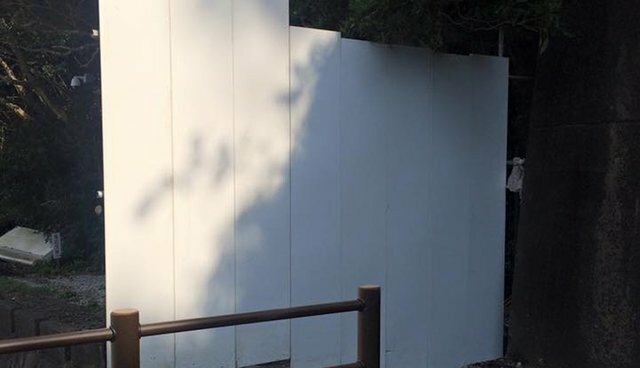 What will happen behind the wall is gut-wrenching. Blue waters turn red as the hunt claims the lives of dolphins, complex and emotional creatures whose intelligence is second only to that of human beings. Those who aren't killed are captured and sold into captivity in marine parks and aquariums, for sums as large as $100,000 per animal, which is a major motivation for the hunt. Learn how you can help stop the hunts here.